Portuguese teacher and other services. 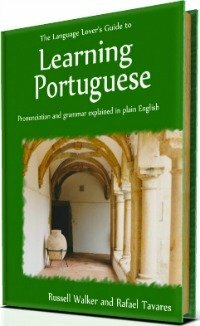 Do You Need A Portuguese Teacher? I'm a Portuguese Teacher and a Consultant. What can I do for you? Please, for language services contact me through this form. If you want to pay for services already arranged, please do so by using the button "Pay Now" below, otherwise, read on. 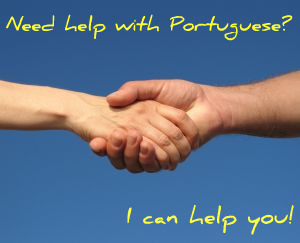 You might have come to this page because you may need a Language Consultant or a Teacher / Lecturer of Portuguese. Look no further. I'm here to help you. My name is Rafa, I'm a Portuguese teacher. As you read this page you may be thinking: why should I go with Rafa - a private tutor - over language schools classes, for instance? It will turn cheaper for you, and your speaking skills will improve much more within the same period of time. We will have so much fun as we learn. OK. To put it into context, we arrange one-to-one and/or group Portuguese lessons on-line at the pace and frequency that suits you best. What is the main reason that makes you want to learn Portuguese? Do you want to learn Portuguese because you just want to visit Portugal, Brazil or any other Portuguese-speaking country? 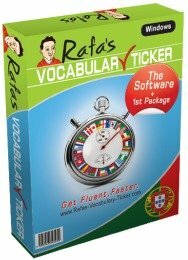 Do you want to learn Portuguese because you want to get a Portuguese speaking partner? Or is it because some members of your family speak Portuguese and you need a Portuguese teacher to help you improve your communication skills with them? Are you aiming to get a promotion or a specific position in your company, which requires you to speak Portuguese for business? Whatever your case is, if you are considering having some Portuguese coaching, or some help with some Portuguese documents I can provide you with an affordable and personalised approach, tailored to your specific needs. Please don't be shy, drop me a line, by using the form below and ask what kind of advice can I give you. Every single day I do my very best to reply to every single email I receive. You know, the other day, I was talking to a friend of mine and he asked me how many hours I had taught Portuguese so far. I had stopped counting at 19,500 hours. So, please if you want to speak good Portuguese try me as a Portuguese teacher! The first lesson is completely free of charge - no questions asked. 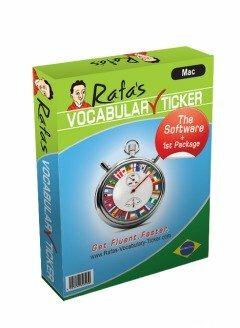 If you are a beginner I can make you read Portuguese with a good pronunciation in one or two classes. If you are a more advanced speaker, I can make you use your sentences correctly in the past, present, future or even Subjunctive in just a few lessons too. Yes! That's the question - What are you waiting for? Scroll down the page and fill in the form below now. I believe that by reading a few pages of this website it's not difficult to conclude that teaching and coaching Portuguese are my passions (either European or Brazilian). My research interest in Modern Foreign Languages has been mostly in the field of adult professional language learning. My post-graduation dissertation concentrates on this area - Modern Foreign Languages In The Business Settings. Therefore, I am proud of being very familiar with the duties of a Portuguese teacher, either for business or private purposes. 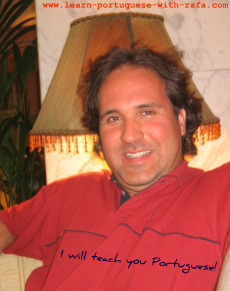 I also have been working as a Lecturer of Portuguese for a wide range of blue-chip companies, universities and colleges. At the moment, I'm doing linguistic research in some Portuguese-speaking countries, and I'm teaching on-line only. Please drop me a line and let's discuss how we can arrange lessons over the internet, Skype, conference video-calls or even over the phone. Also, if necessary, I can commute or fly to you, or I may be able to help you find a colleague of mine who can help you where you are. So, please do not hesitate to contact me by filling in the form below, and enquire about my services, prices, references or anything else. I'm here to help you, so what are you waiting for? The contact form is just below!